The soap star says she didn’t register the risks when she chased a tan as a teen, but after battling skin cancer twice she is backing calls for a UK sunbed ban. I lost both parents to cancer by the time I was 30. Even though I was an adult, it has a catastrophic effect on my life. It still does. The idea of my boys Caidan, 11, and Kylan, seven, going through that ripped me apart. I put my own foolish sunbed obsession as a teen down to ignorance, fashion and vanity. Back then, we barely wore sunscreen, let alone knew the difference between UVA and UVB rays. I couldn’t afford to go abroad so twice-weekly sunbed sessions gave me the look I needed for my job as an underwear and swimwear model. By the time I joined Hollyoaks , aged 22, as Ruth Osborne, I’d stopped using them. But the damage was done. You can see it on the UV image above. If someone had told me that sunbeds were carcinogenic, like cigarettes, I would have thought twice. Maybe I wouldn’t have been diagnosed with malignant melanoma in 2014. I was lucky it was caught. I was under a specialist for my moles and only went to register at a new hospital after moving house. In the four months between checks, I’d developed stage two cancer. The mole was a black speck. The untrained eye could never have spotted it. The diagnosis floored me. I wasn’t prepared. And the treatment was horrendous. I had cancer again in May 2016, this time spotting a change to a mole while on holiday. Now I’m checked every three months and have to brace myself for each visit. I have had eight moles removed so far and will likely get further melanomas. But it’s what I have to do to stay alive for my boys. I’ll be sliced and diced for the rest of time if it means a long life. It angers me how unregulated the sunbed industry is and how sun creams are treated as a beauty product not a medical one. The public are in the dark about the damage they are doing. Tanning salons should be covered in health warnings, like cigarette packets. Some people say by banning sunbeds we are being a nanny state, dictating what they should do. But the statistics on sunbeds and cancer are clear. I know it will be an uphill struggle. We need a culture change to end the glamorisation of tans. I’m incensed that shows like TOWIE show cast members going to salons. I’m determined to ensure the younger generation is armed with the facts. There is no safe tan, no safe colour. The only safe bronzed skin comes out of a bottle. I can’t go back and change the naïve actions of my teenage self. But I hope I can stop today’s teenagers from making the same deadly, painful mistake. 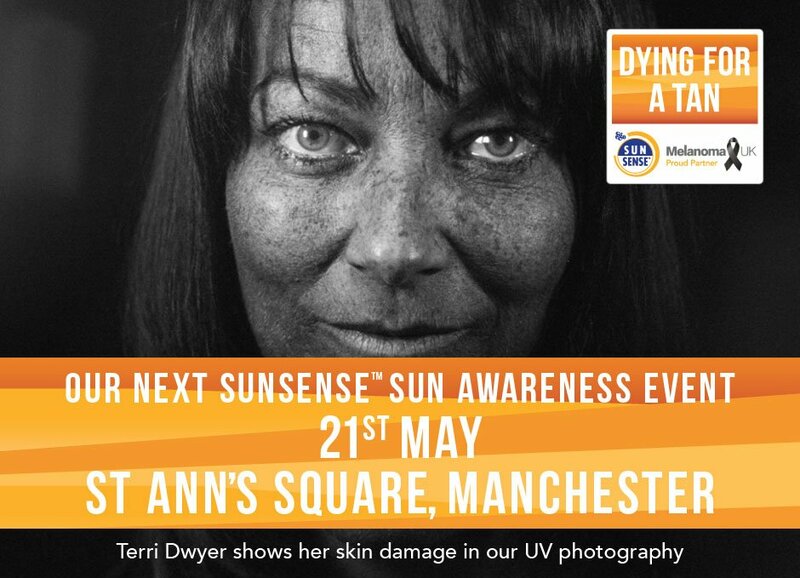 Will you help Terri to call a ban on sunbeds? previous post: Will you help Terri to call a ban on sunbeds?